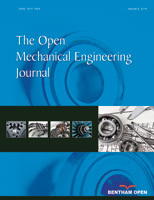 A mathematical model and simulation analysis on main control valve mechanism of LNG ship steam turbine are carried out. A reasonable modeling division of main control valve mechanism is achieved in accordance with the idea of modular modeling, and all the models are established respectively. The modeling division includes cam lifting mechanism, oil actuator and double-valve body. The state space equations are used successfully to describe the servo system of main hydraulic valves and to reveal their dynamic process. Finally, the simulation modules are combined according to the structure and function of main control valve mechanism in Matlab/Simulink environment. By comparing experimental data and calculated data, the simulation results meet the accuracy requirements.